Gerarda Gale! She was the lucky winner of the homemade afghan. 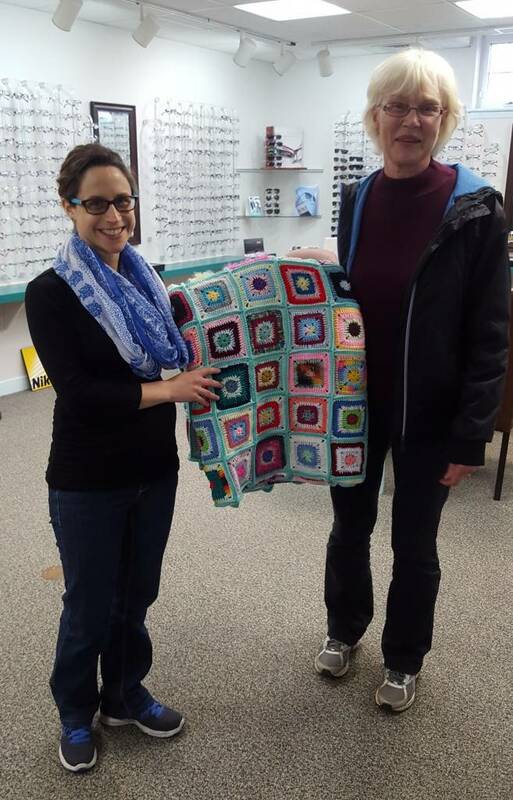 Gerarda made a donation to Optometry Giving Sight to get her name into our draw. We still have some donations trickling in and will update our final total later this month.